Custom sticky flags in pocket case is perfect for tradeshow gifting because it is easily manageable. Purposeful, affordable, and adorable, this sticky flag is perfect for building impact of your targeted customers. 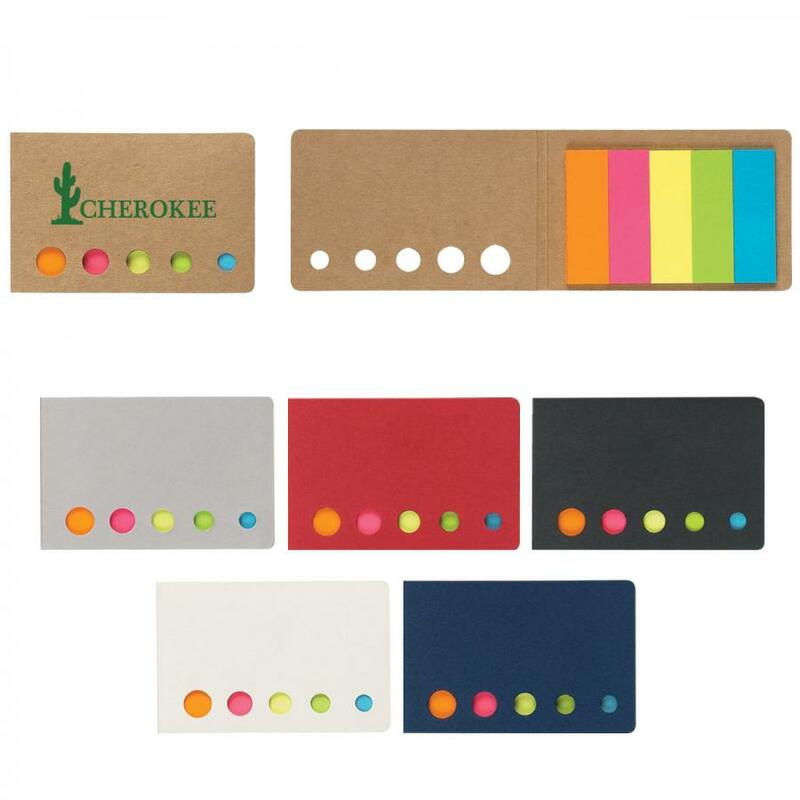 Each pocket case bears neon sticky flags in five different colors. 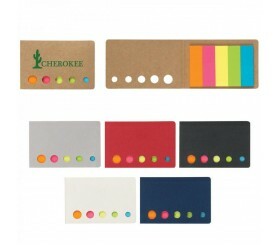 Offer it individually or in combination with other office stationary or as a complementary gift. Whatever be your reason of gifting, these sticky flags are going to receive high attention over files, tabs, desktops and several other places. Request a quote to know price savings that you can expect on bulk ordering these promotional sticky flags in pocket case. Colors Available : Silver, Natural, Black, White, Blue or Red. Imprint area : 3 3/4" x 6 3/4"
Box Weight : 12 lbs.